The slogan of Demokratizatsiya was part of Gorbachev's set of reform programs, including glasnost (increasing public discussion of issues and accessibility of information to the public), officially announced in mid-1986, and uskoreniye, a "speed-up" of economic development, which failed miserably. Perestroika (political and economic restructuring), another slogan that became a full-scale campaign in 1987, embraced them all. By the time he introduced the slogan of Demokratizatsiya, Gorbachev had concluded that implementing his reforms outlined at the Twenty-Seventh Party Congress in February 1986 required more than discrediting the "Old Guard". He changed his strategy from trying to work through the CPSU as it existed and instead embraced a degree of political liberalisation. In January 1987, he appealed over the heads of the party to the people and called for democratisation. By the time of the Twenty-Eighth Party Congress in July 1990, it was clear that Gorbachev's reforms came with sweeping, unintended consequences, as nationalities of the constituent republics of the Soviet Union pulled harder than ever to break away from the union and ultimately dismantle the Communist Party. Gorbachev increasingly found himself caught between criticism by conservatives who wanted to stop reform and liberals who wanted to accelerate it. Meanwhile, despite his intention to maintain a one-party system, the elements of a multiparty system already were crystallising. Despite some setbacks, he continued his policy of Demokratizatsiya, and he enjoyed his worldwide perception as the reformer. In June 1988, at the CPSU's Nineteenth Party Conference, the first held since 1941, Gorbachev and his supporters launched radical reforms meant to reduce party control of the government apparatus. He again called for multicandidate elections for regional and local legislatures and party first secretaries and insisted on the separation of the government apparatus from party bodies at the regional level as well. In the face of an overwhelming majority of conservatives, Gorbachev still was able to rely on party obedience to the higher authorities to force through acceptance of his reform proposals. Experts called the conference a successful step in promoting party-directed change from above. At an unprecedented emergency Central Committee plenum called by Gorbachev in September 1988, three stalwart old-guard members left the Politburo or lost positions of power. Andrei Gromyko retired (had decided to retire before the meeting) from the Politburo, Yegor Ligachev was relieved of the ideology portfolio within the Politburo's Secretariat, and Boris Pugo replaced Politburo member Mikhail Solomentsev as chairman of the powerful CPSU Party Control Committee. The Supreme Soviet then elected Gorbachev chairman of the Presidium of the Supreme Soviet, giving Gorbachev the attributes of power that previously Leonid Brezhnev had. These changes meant that the Secretariat, until that time solely responsible for the development and implementation of state policies, had lost much of its power. Meaningful changes also occurred in governmental structures. 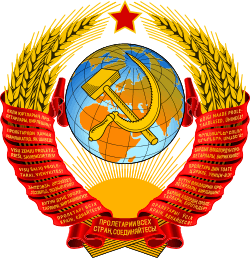 In December 1988, the Supreme Soviet of the Soviet Union approved formation of the Congress of People's Deputies of the Soviet Union, which constitutional amendments had established as the Soviet Union's new legislative body. The Supreme Soviet then dissolved itself. The amendments called for a smaller working body of 542 members, also called the Supreme Soviet, to be elected from the 2,250-member Congress of People's Deputies. To ensure a Communist majority in the new parliament, Gorbachev reserved one-third of the seats for the CPSU and other public organisations. In the summer of 1989, the first opposition bloc in the Congress of People's Deputies formed under the name of the Inter-Regional Group. The members of this body included almost all of the liberal and Russian nationalist members of the opposition led by Boris Yeltsin. A primary issue for the opposition was the repeal of Article 6 of the constitution, which prescribed the supremacy of the CPSU over all the institutions in society. Faced with opposition pressure for the repeal of Article 6 and needing allies against hard-liners in the CPSU, Gorbachev obtained the repeal of Article 6 by the February 1990 Central Committee plenum. Later that month, before the Supreme Soviet, he proposed the creation of a new office of president of the Soviet Union, for himself to be elected by the Congress of People's Deputies rather than the popular elections. Accordingly, in March 1990 Gorbachev was elected for the third time in eighteen months to a position equivalent to Soviet head of state. Former first deputy chairman of the Supreme Soviet Anatoly Lukyanov became chairman of the Supreme Soviet. The Supreme Soviet became similar to Western parliaments. Its debates were televised daily.